You may be a musician at heart but not have any live instruments. How do you make music then? How do you showcase your idea if merely have the idea and not the means of production? Hiring musicians or renting hardware may cost too much, and you may not even want to do that. Maybe you’re just starting as an amateur DJ. Perhaps you already are a musician and looking to improve on your music but don’t want to buy a new setup just yet. You don’t want to give up on your heart’s desire just because you don’t have something you need at the moment. That is why we bring to you 10 of the best free music making software for those beats and notes in your head. 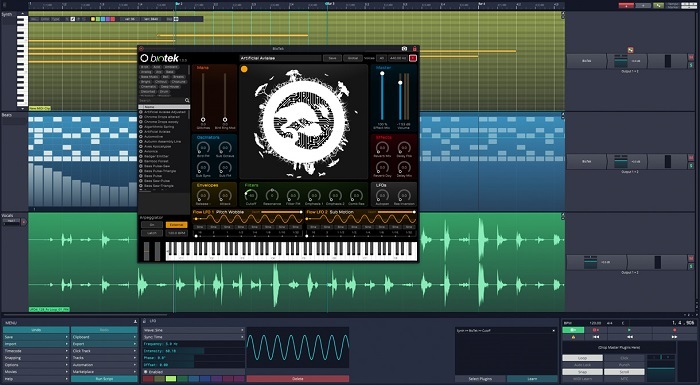 Here’s is an in-depth list of 10 best free music making software in 2019. 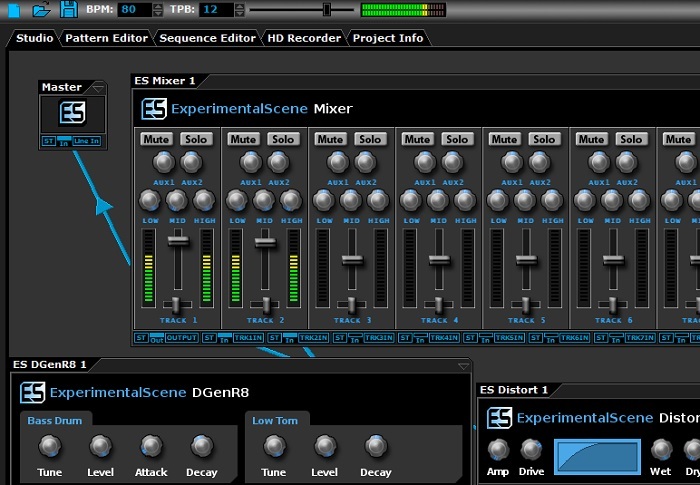 Darkwave studio by ExperimentalScene is a free music making software which is available for all versions of Windows from XP to 10. It can be easily found and downloaded online and does not consume much storage space. 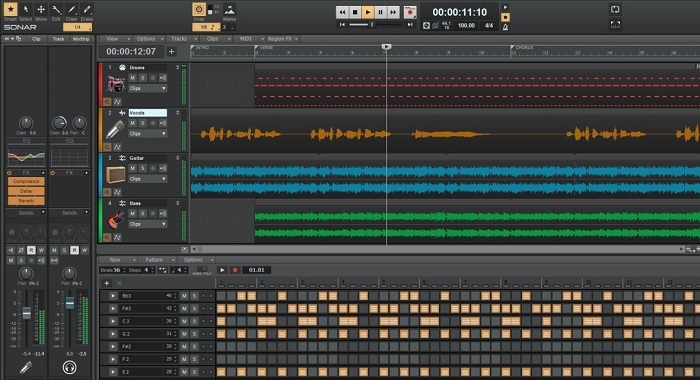 It features a modular Virtual Studio which allows machines to be connected in an ad-hoc fashion & Pattern Editor which enables the quick creation and modification of patterns by using the drag-and-drop feature to edit notes. It comes with Sequence Editor which allows you to queue patterns to play for each control track in any arrangement, and a multi-track Hard disk recorder which allows you to record the output of any machine and convert it to a 16-bit integer or 32-bit floating point PCM encoded wave file. However, if you’re looking for high-quality sound then your should prefer any of the AV receivers as mentioned on this page. Using Darkwave may be overwhelming at first but the numerous tutorials available online will help and soon you’ll be churning out professional beats from your computer. Audacity is no doubt one of the best free music making software out there. It is free, cross-platform, and open source and maintained by a group of volunteers who are incredibly responsive. Audacity is however not a Digital Audio Workstation but a Digital Audio Manipulator. You can, of course, produce music with Audacity but its primary purpose is to manipulate the audio data. 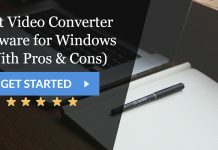 It supports 16-bit and 32-bit format and can convert audio using high-quality audio converter. 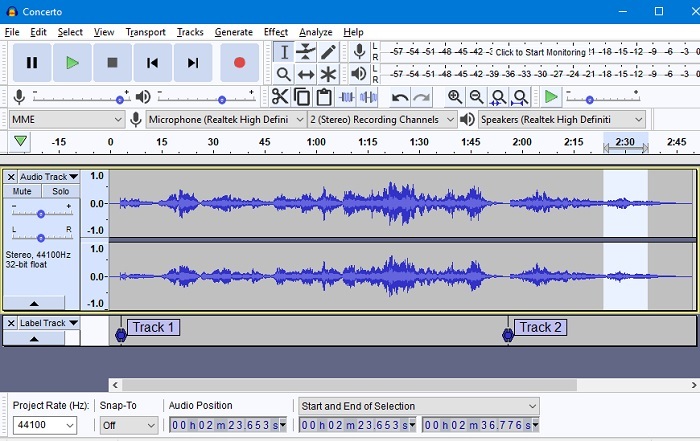 You can also record audio using Audacity and import, edit and export your files. It provides support for various plug-ins like VST, Nyquist and Audio Unit effect or you can even write your plug-in. It has an easy interface but similar to Darkwave studio; it can be difficult for beginners. Tracktion has upgraded their T6 version to T7 and it is better than ever. It is a free, cross-platform software with no restrictions on track limits or plug-ins. 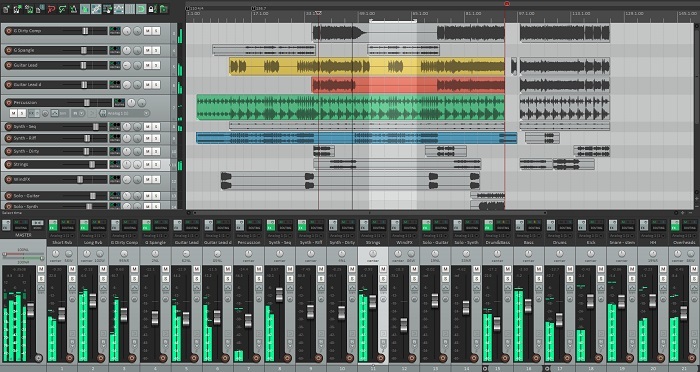 It is a DAW application which is easy to use, intuitive, single-screen interface with a drag-and-drop feature. It allows an unlimited number of audio and MIDI tracks and allows you to edit, compose, record, mix, and share your creations. T7 comes up with an entirely new effect called the Clip Layer Effect. That means that T7 is giving you the ability to take complete control of the sound design at the clip level which therefore means that you can stack multiple effects and processing on a single clip as opposed to using plug-ins for an entire track. Downloading T7 requires no second thoughts and the faster you start using it, the better off you’ll be. Cakewalk created by BandLab provides a complete creative experience along with smooth workflow and an inspiring interface. 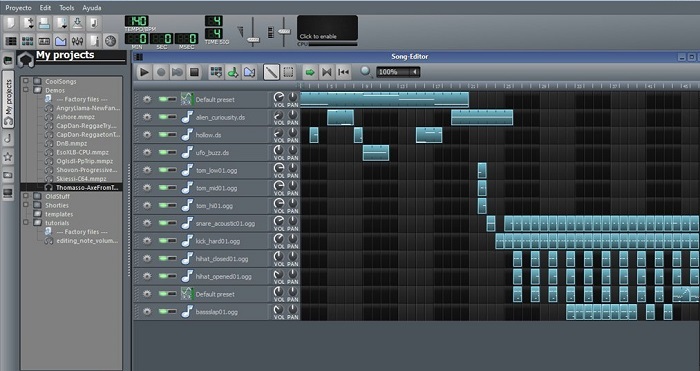 Using Cakewalk, you can compose complete songs with creative songwriting tools, record audio without compromising on quality, edit, mix and share audio tracks in pristine condition. Cakewalk is designed to emulate an analogue console thus making it easier for you to get used to it. You can build and expand your channel strip with an expandable library of ProChannel modules. It is supported by a 64-bit mix engine and has VSTR and ARA support which make it all the better. It is also touch-enabled thus maximising efficiency. Mixxx is an integrated package which has all you need to start making DJ mixes. It provides BPM and musical key detection which will help you find the next track from your list to match the current beat and tempo. Use the master sync to match the tempo of up to four songs for seamless mixing. You can add sound effects and chain multiple effects together to create your own. Finally, Mixxx is open source and free and is supported by a friendly community who will help you get started with this fascinating software. 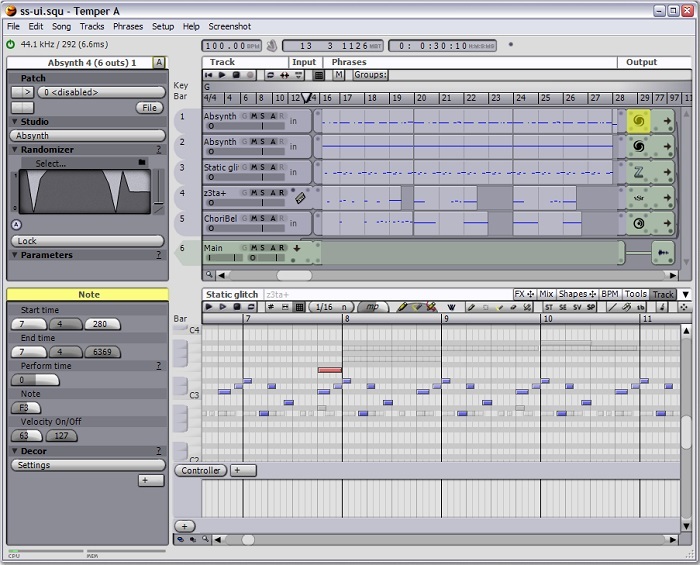 Temper is a MIDI and audio sequencing software focused on MIDI. It provides an easy interface that will help you perform advanced group operations and allows integration with other software through basic drag-and-drop behaviour. It has a powerful MIDI editing environment, sophisticated event routing and manipulation and multicore audio engine. It also allows multiple takes per track and simultaneous multitrack editing with interactive algorithmic composition tools. LMMS which stands for Linux Multimedia Studio is a free music making software. It has five editors which enable you to create melodies and beats as well as your mixes. It is open-source and is created by musicians, for musicians. You can playback instruments, samples, and plug-ins with a usual or MIDI keyboard on a user-friendly and modern interface. It also provides a vast collection of instrument and effect plug-ins, presets, and samples to VST and SoundFont support. You can fine-tune patterns, notes, and sounds using Piano Roll Editor and import MIDI files. LMMS is an all-you-need package for your music. Reaper is a complete DAW offering a range of multitrack audio and MIDI recording, editing, processing, mixing, and mastering toolset. It supports a wide range of hardware, digital formats and plug-ins and can be extended or modified. It can be installed and run from a portable or network drive and has support for third-party plugin effects, and virtual environments. The new version also contains a notation editor, flexible and automatable VCA control and more. 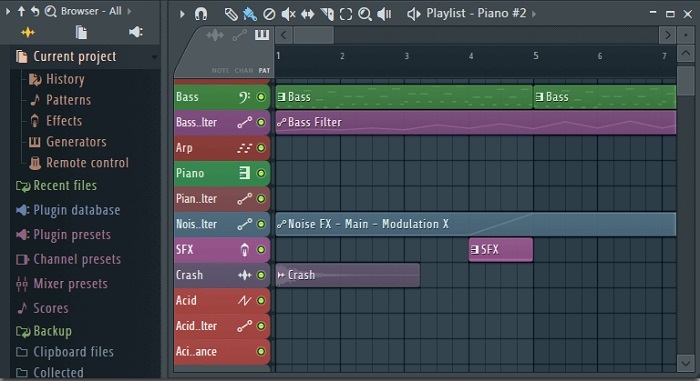 FL Studio is a DAW which features a GUI base-pattern-basedn based music sequencer. 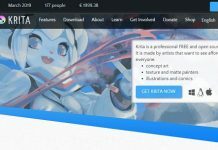 It is available in four different editions including Fruity Edition, Producer Edition, Signature Bundle, and All Plugins Bundle. It has everything you need to edit, mix, record, arrange, compose, and master professional-quality music. You can also bind FL Studio with other programs via VSTi and DXi plugins. A selection of software instruments is available so that you can start playing immediately. However, FL studio is a trialware so you cannot use the free version forever. You need to buy it to use it ultimately. 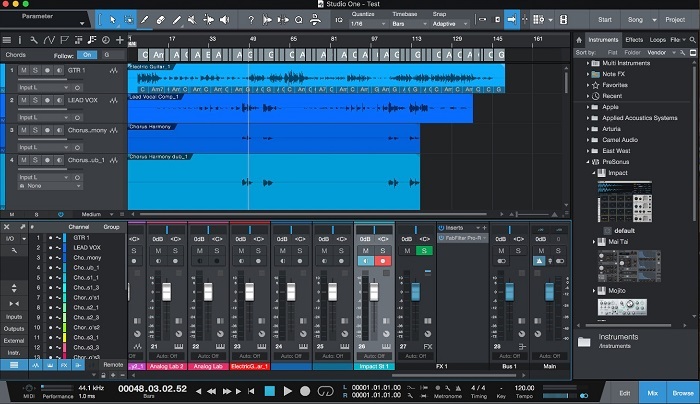 Personus Studio One Prime is the free version of the DAW Studio One. It includes integrated Melodyne pitch correction, Scratch Pads, Chord Track and Harmonic editing, VCA faders and third-party plug-in support. It also contains intuitive drag-and-drop functionality along with unlimited tracks to enhance the experience further.